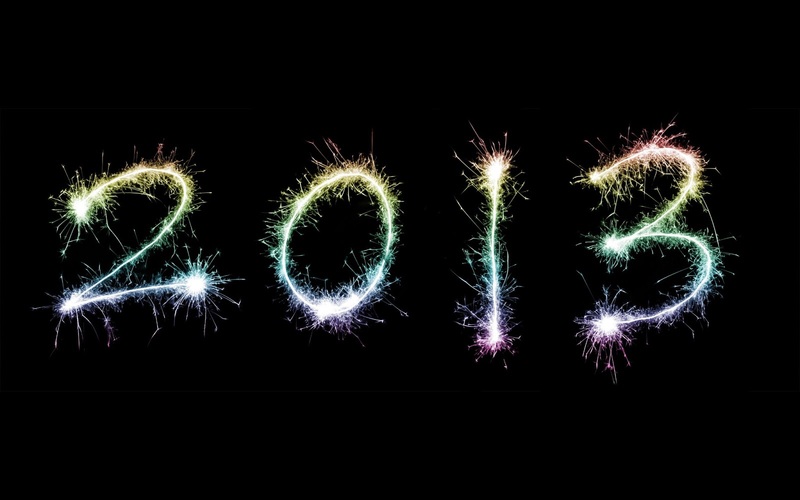 So 2013 is finally here (sounds so futuristic!) which triggers the need to write lists of things that we are going to change in the new year! Now my goals are pretty similar to everyone else’s goals for a new year… Lose weight, finally tell him I like him, give up drinking and all those sorts of generic goals. However, when it comes down to actually completing them, it’s a totally different story! So I am going to tell you some of the things I would love to achieve by 2014 (wow that sounds even more strange!) and hopefully I’ll be able to tick them off one by one as the year goes on. I only started YouTube in September thinking that I’d be lucky if I even got 1 view, but once I got my first subscriber that was when I realised “Wow people actually like me!” and I wanted to keep on doing it! I am quite a shy person so it took a lot for me to actually decide to put myself out there for the whole world to see, but boy am I glad I did because it has made my confidence go through the roof! Hence why one of my goals is to grow my YouTube channel because it is such a wonderful feeling. If I get over 100 subscribers this year, then I think there will be Sophie bits everywhere where I exploded with happiness! I’m not the biggest person on the planet. I am around 67kg now and I know that’s not exactly fat but I am a little wobbly! So it’s not the losing weight side of the getting fit it’s more of the getting toned up and be a lot healthier! My problem areas are my tummy, legs and my arms slightly. Seeing as summer is coming up I hope to achieve this before it gets here. Last summer I weighed around 84kg and I was so down because there were all the skinnier girls wearing shorts, skirts and vest tops and there was me wearing jeans and cardigans because I was so ashamed of my body! Get enough money to live comfortably! This is quite a biggie! Like I have said in videos I only get 10 hours a week where I work, but it’s the best I can do at the moment as there aren’t many jobs in my town because it is overrun by charity shops! I know it would look good on my CV that I have worked in a charity shop (which I did for my work experience) but my bank balance wouldn’t thank me for it. So my goal is to have some side projects and YouTube is one of them! I would absolutely love writing this blog and be making YouTube videos as a job, but I need a lot more people interested in me before I can even think about it! (Maybe you could help me?) So I have been doing my research on my options. I can either get a second job delivering catalogues or leaflets, start my own small business (which will need money thrown at it to get it off of the ground) or just get a full-time job out of town. The last option I’m not that keen about as I have only just started driving properly and doing an hours journey to and from work every day is going to take its toll! However, I’m going to have to make sacrifices somewhere along the line. This goal links with the 3rd because I am 20 this September (bye bye teens!) I don’t want to be sponging off of my parents still when I’m 20! I don’t have to pay rent to my parents because mum won’t take the money and the other 4 of us didn’t pay rent (yes, I’m the youngest of 5!) so that’s why I want to move out and move into a place of my own by September. It’ll be quite an achievement when I have those house keys in my hand and be able to say that I have my own home and I worked so hard to get it! Your goals are pretty similar to mine! Id also like to move out, find a better job and get my blog out there more! I wrote a post on my goals on my blog!